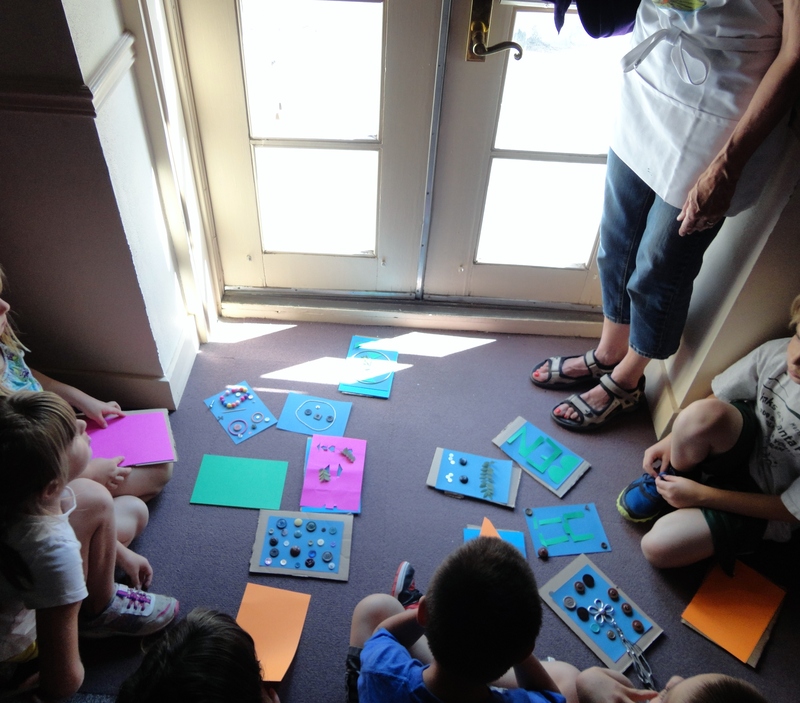 Last Wednesday, July 3rd, I had the pleasure to join in on a science activity at the Santa fe Public Library, Main Branch. 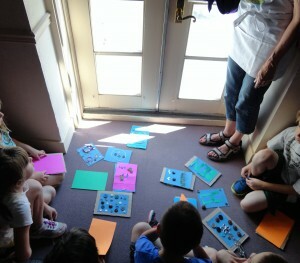 Ms. Nancy hosted this fun, hands-on activity the kids seemed to really…dig! Introducing the program with an inquiry-type discussion about the sun and the power of light energy, she posed questions that challenged the kids to explain what they already knew. You could just see the gears in their heads churning away as they called upon their knowledge. And she guided the discussion to introduce new information to the group — followed by an activity where the kids could experience the power of light. In the activity, each child took a piece of sun sensitive paper. With the lights out, the kids laid out a design from bric-a-brac laid on top of the paper. They quietly gathered in front of a blacked-out window with their designs. The curtain was lifted. Warmth and peace filled the room as the kids, wide-eyed with anticipation, waited for the paper to turn light. After the exposure, the paper was dipped in water to set their images. “Can you tell I used to be a teacher? !” Ms. Nancy remarked at some point during the activity. I could feel myself acquiring new knowledge. So yes, Ms.Nancy, I can! This simple activity hit the highlights of what learning in the library can be — activation of background knowledge, STEM concepts, experiential learning — all in a warm, welcoming library space. A big thank you to the Santa Fe Public Library, Main Children’s Room staff!